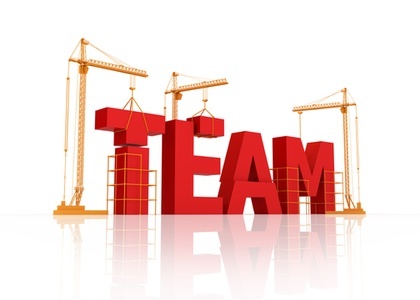 One of the most important factors in creating a strong, creative, productive team is the element of trust. You have to know your team, get familiar with their abilities, and be able to trust them to do good work, follow through, and work toward the same goals. And your team has to be able to trust you. Building trust isn't a random process. If you're proactive, and make a conscious effort, you can cultivate the honesty, openness, and mutual respect that enable trust to flourish. Whether you're all new to teach other, overcoming past difficulties, or simply seeking to better your leadership, trust is key to a strong, successful team. When working to build trust, one of the mightiest forces you have to fight are hidden assumptions. You're all trying to figure each other. Your team members want to know what's expected of them. If you don't clarify expectations, responsibilities, and a team vision, assumptions can drive misunderstanding, frustration, and resentment. The best way to dispel assumptions is to communicate clearly and often. Make sure everyone on the team knows the goals, priorities, and team purpose or vision. Talk about preferred methods for achieving goals. Discuss, define, and assign clear project roles and ongoing responsibilities. Set both long-term and short-term goals. And answer questions fully and honestly. The more information your team has, the more secure they feel and the better they're able to contribute. Don't leave them in the dark, trying to figure things out on their own. By dispelling assumptions, you bring to light any differences that could cause conflict, and enable productive talks rather than hidden resentment and frustration. No leader is perfect, because no person is perfect. The best team leaders know that perfection isn't required for great leadership; they are secure enough to admit that they have faults and weaknesses, too. Great leaders are aware of the areas in which they struggle and are quick to ask for help, when appropriate, or to admit when they have made a mistake. When your team hears and sees you being honest about your own weaknesses, needs, and imperfections, they feel much safer admitting their own. High standards are good, but you can't expect (and shouldn't) everyone to be good at everything. When you are honest about your own tendencies, you show that you're willing to recognize strengths and weaknesses in your team members. They become braver about saying when they need help, admitting when they're overwhelmed, or taking responsibilities for mistakes. As honesty grows, you get to know your team members and become better at assigning the roles, responsibilities, levels of leadership, and particular tasks that each team member is best suited to handle. Honesty, you may be noticing, is an important, recurring theme in trust-building efforts. It's important, of course, that you communicate clearly, that you are honest about your own issues, and, also, that you do what you say you'll do. There's another element of honesty which some leaders actually feel obligated to ignore: telling the truth when it's painful. Some leaders will try to gloss over problems in a misguided effort to stay positive and encouraging. But being positive doesn't mean ignoring real problems that need to be solved, whether the problem is a high-maintenance client, a project with ever-expanding scope, or an interpersonal conflict within the team. Being honest means that, as the leader, you need to talk through the problems and issues with your team so that the problems can be solved. Ignoring issues undermines the team's trust in your competence as a leader; the "smile and pretend everything is okay" approach is ineffective and damaging. Building trust does take time, but if you make a conscious effort to practice these three habits, you'll see your team respond. The more trust you show in them, by being honest, clear, realistic, and approachable, the more trust they will have, and exhibit, in you.